LSD is the best known and most researched psychedelic. It is the standard against which all other psychedelics are compared. It is active at extremely low doses and is most commonly available on blotter or in liquid form. Since 2013, some blotter and liquid "acid" being sold in the Americas and Europe contains NBOMe compounds instead of LSD. 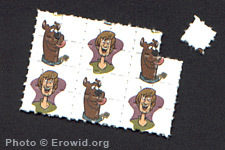 The NBOMe chemicals can cause strong effects even on a single standard hit of blotter (1/4" (6mm) square). Unlike LSD, NBOMes can cause death. NBOMe compounds are usually bitter while LSD-containing liquid or blotter has only a mild metallic flavor or no flavor at all. they assumed unusual dimensions; and colors became more glowing. which had been experienced whilst I was fully conscious, disappeared. what had caused this condition? Can Mescaline come in a small pill, or is it LSD? How can one test LSD to see if it's real?